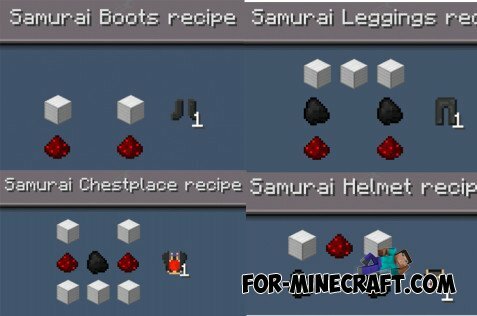 The mod adds a samurai armor and things: P. You can also call upon the master boss who is very strong ... Armor adds you different advantages - high jump, mega protection, fast running, etc. At the moment, there are two weapons - shuriken and katana. Boss - Made of 2-katana and eggs can be crafted for egg spawn boss.